A user interface is much essential in designing websites. In fact, to date, user interfaces have been given the highest importance in website designing, and that is why the popularity of themes and color schemes, etc have been always there. This is the most explored area in website designing too, where the importance is solely given to how visitors will react on landing on the website, exploring the page elements, scrolling through the page, surfing the web pages, etc. Users respond differently to the site design. Some users love the feel of page wise design while some love a one-page design. And these things depend on which devices users are using for the site access. People who prefer laptops and desktops love tabbed browsing and do not mind an excellent elaborate multi-tier menu. And, users surfing mostly on tabs and mobiles love one-page designs where they get easy access to all site info, content, etc on one page, without much movement. Hence the experiences and demands differ, and thus the interface or UI based site design also are based on much research. 1 Why are UI based designs important? 2 How are UI designs framed? 3 How is the functionality of UI designs enhanced with the use of UX designs? 6 What is the scope of a good UI design? Why are UI based designs important? The theme of the site. Compatibility with the device like if it’s tab or mobile friendly, or a small laptop screen friendly or not. How visible are the links, menus, and social share buttons and other site elements? How appealing the site looks at a glance as per styling. Based on these experiences the user interface of a website is planned. And the interface based designs are essential for cultivating an excellent user experience at the first look and first contact with the website. A user explores a website later, but first lands on the site and creates an impression of the site in mind. And these things happening just a few seconds. Hence, designs of sites which are primarily based on the looks and style make a difference on the user’s perception of the site at the very first use. How are UI designs framed? While making the site, the graphics are developed with the future idea of branding the site. The design must have a story line or guide to the user to fluidly explore the site at ease. How is the functionality of UI designs enhanced with the use of UX designs? The interface of the website must be functional and attractive and speak on behalf of the site or business or product. But with this, the user’s experience of the site operability must also be good. Else only good look and the initial impression will not be enough to captivate the user and convert a visitor into a customer along with any sales funnel. Hence to enhance the experience and give the user one much preferred and loved expertise, the site must go through checks by a UX expert. 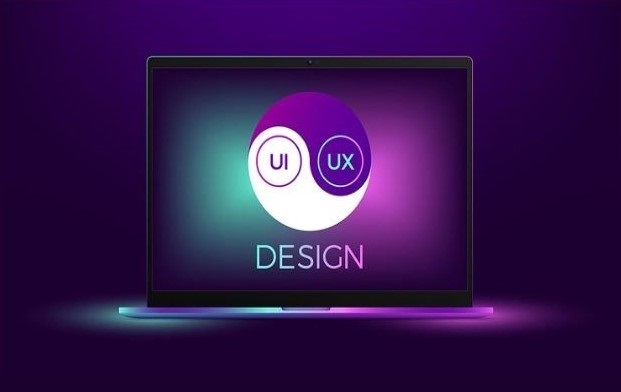 UX expert will make sure that the website gets the ideal operability to give the users a nice experience, smooth navigation, easy access to content, and also at the same time matches with the interface and designing. An ideal web development team must have experts who deal both in UI and UX. Although both the fields are entirely different in approach, and while UI caters to the looks and styling, UX provides to functionality. However, the one thing that’s common between UI and UX is to give something nice, dependable, and worth consuming the time to the user. And there both have essential roles. Hence a web development team, which works by amalgamating the two type of designs will always be a good choice. The role of the coder is vital while the construction of the site is in progress. Right from the basic wire framing to prototype making, design making, layout planning, and the content development and final touch of elements, the site design must be inspected in every step by the developer. This is done to ensure that the functionality is not barred anywhere, and the vision of the UI and UX developer turns into reality with full swing. Besides, the web developer must also know how to write an RFP so that the site after completion can be presented to commercial partners. What is the scope of a good UI design? When designed carefully a good UI based designed site can transform the brand identity to the product impression, such that users can correlate the product to the brand quickly. Also, the visual guidance can play the leading role in introducing and telling about the product to the visitors. This digital approach of designing and presenting the site is best aided by a coder for the desired results. UI based designs, when amalgamated to UX concepts, can create wonders for the website. This can increase the site appeal in all ways manifolds. Hence it’s vital that you contact a web design team which is equipped with designers of all such types to give your website the best design and functionality and overall appeal.